A good legal representative for the victim of an auto crash is not just one who is well versed with the many clauses of law, but one who has empathy for his client and understands the pain and trauma they are going through. If perhaps you were involved in a non-fatal truck accident, you would need the services of a competent truck accident attorney in Riverside to help bring you the compensations that you are due for all the trouble you have been through. With an astounding track record spanning over a decade, Rawa Law Group has got the experience that will serve you well. Interestingly, we have some of the best and most competent professionals in the law practice here in Riverside, CA that have over the years helped in the recovery of hundreds of millions of dollars’ worth of settlements for crash victims. Rawa Law Group is a superior 5 Star Law Firm that is out to ensure that your rights are not ignored and that your voice is heard. To further establish our confidence, we do not charge any upfront costs to you. We meet you wherever you are, be it your home or a hospital and get as much information as is necessary for us to be of service to you. Truck accidents involving large or commercial trucks in California are usually serious and complex. 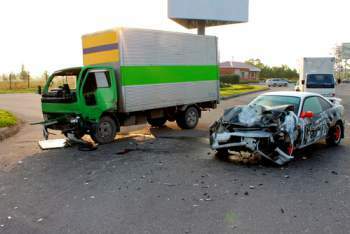 Even careful driving cannot prevent all accidents, and occupants of passenger vehicles are usually those who suffer significant injuries after a truck accident. According to the California Highway Patrol, there are more than 200 fatal truck accidents in the state every year and more than 5,000 injury accidents. If you or someone you love has been involved in a truck accident, a Riverside truck accident attorney can help you understand your legal options and rights. Driver fatigue. Truck drivers often drive for long hours. While truckers are required to obey federal rules regarding how long they can remain on the road and work without rest, sometimes drivers falsify logs or drive longer than they should to meet deadlines, increasing the risk of an accident. Speeding. Tractor trailers take longer to stop on flat roads than passenger vehicles, even when going the speed limit. Truckers who are driving too fast or moving too fast downhill may cause an accident if they lose control around a turn or rear-end a vehicle. Improper loading. How a trailer has been loaded can affect how well the truck handles. A trailer that is loaded improperly can cause the driver to lose control of the vehicle. Many jackknifing accidents are the result of an overloaded or improperly loaded commercial truck. Poor maintenance. Many truck accidents in California are the result of poor truck maintenance, particularly tire and brake failure. 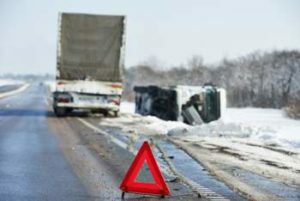 Truck accident injury claims are often complex because there are many parties who may be liable, not just the driver. A truck driver may be liable for his or her negligence in the accident, but the trucking company may also be liable for negligent hiring, maintenance, or driver training. 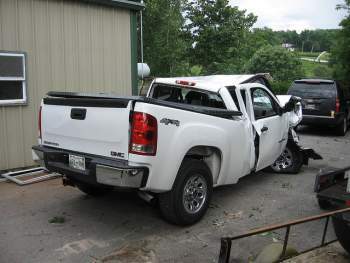 The truck owner can be responsible for an accident if the truck was not properly maintained and the manufacturer of the commercial truck may be responsible if a defective part contributed to the accident. There are times when the truck driver or the bicycle driver are not paying attention to what is going on and a very serious bicycle accident happens. Most of the time the damage to the bike driver is very serious or even deadly. When this happens you may need a bicycle accident attorney in Riverside California to help you settle your bike claim if and when the truck driver is at fault. If you have been involved in a truck accident in Riverside, it’s important to seek legal advice quickly because your rights may be affected by decisions you make following the accident. It is very common for insurance companies to offer a low settlement and accepting an offer or making a statement to the insurance company can reduce or forfeit your right to additional compensation. Contact an experienced Riverside truck accident injury attorney at Rawa Law Group today for a free consultation to discuss your case. Learn about all of our Riverside California legal services here. You don’t need to worry about consultations costs either, as we offer them free of charge. We really just want to see you win and get past the low points of the aftermath of an accident. Reach out to us today! Best 18 Wheeler Accident Lawyer in Riverside Ca. Commercial trucks, also known as semi trucks or 18 wheelers, are a common sight on the roadways in Riverside. More than 3 million semi trucks drive over 94 billion miles throughout the United States each year to deliver food and goods. Given their size, it’s no surprise that 18 wheeler accidents are often devastating. Semi trucks weigh anywhere from 10,000 to 80,000 pounds and account for almost 3,400 fatal traffic accidents and 60,000 traffic injuries every year. California has the country’s third-highest number of semi truck registrations and the second-most fatal commercial truck accidents in the country. About 1 out of 8 traffic deaths involve an 18 wheeler collision. While large trucks account for just 3% of vehicles on the road, they are involved in 12% of traffic fatalities. Rollover accidents in which the truck’s tires leave the surface of the road are the most dangerous. About two-thirds of fatal accidents happen on rural roads, but one-quarter occur on interstate highways like the I-215 and I-15 that go through Riverside. If you or someone you love has been injured or killed in an 18 wheeler accident, an experienced personal injury attorney in Riverside, CA can help you protect your rights. Accidents can occur in many ways, but there are a handful of common traffic incidents involving 18 wheelers in Riverside. Jackknife. Jackknives occur when the back of the trailer swings out of sync with the tractor, usually when the driver brakes suddenly. While the driver can sometimes regain control of the trailer, sometimes it causes the entire rig to go out of control. Rollover. The height of the truck trailer and factors like sudden braking, high speeds, and high winds can cause the truck’s wheels to leave the road. Rollover accidents are very dangerous as it increases the chances of collisions during the rollover and from approaching vehicles. Blowouts. Most tractor trailers have 18 wheels, any of which can blowout. This usually does not cause an accident, but sometimes a blown tire causes the truck to lose control or this could also cause a bus accident. Under-ride collision. These accidents occur when a vehicle slides underneath the truck’s trailer during a collision. Depending on the speed of the vehicles, this can cause the windshield and top portion of the vehicle to be sheared off. Under-ride collisions are often fatal or very serious accidents. Lane change collisions. Big rigs have large blind spots and commercial truck drivers must rely on their side mirrors alone to determine when it is safe to change lanes. Blind spots often prevent full visibility that can lead to unsafe lane changes and collisions. Negligence is often a factor in 18 wheeler truck accidents in Riverside. Sometimes it is the driver, truck manufacturer, or trucking company that is liable, but it may be the motor vehicle driver as well. When the driver or manufacturer is at fault, reasons may include speeding, mechanical problems, heavy or unsafe loads, cell phone use, aggressive driving, unsafe equipment due to negligent maintenance or inspections, negligent hiring or supervision of drivers, or fatigue due to lack of sleep and over-driving. If you or someone you love has been injured in an 18 wheeler accident in Riverside, California, it’s important to seek legal representation as soon as possible to protect your rights and get help recovering fair compensation for your medical costs, lost income, and pain and suffering. Contact Rawa Law Group today to schedule a free consultation with an experienced 18 wheeler accident attorney in Riverside to discuss your case. Commercial trucks, also called semi trucks, big rigs, and tractor trailers and 18 wheelers, are a common sight in California. According to the Department of Transportation, commercial trucks account for 4.3% of all vehicles on our highways but more than 12% of all traffic fatalities. The threat of injury or death in a commercial truck accident is high. The average commercial truck on California roads is 80,000 pounds while the average passenger vehicle weighs just 4,000 pounds. The Insurance Institute for Highway Safety found that occupants in passenger vehicles accounted for 97% of all deaths in commercial truck accidents. California has the second-highest traffic fatality rate in the country. Out of more than 2,700 traffic fatalities each year, more than 200 involve a commercial truck. If you or someone you love has been involved in a commercial truck accident in Riverside, an experienced injury attorney can help you protect your rights and seek the compensation you deserve. Commercial trucks take longer to stop than passenger vehicles, requiring up to 40% more road to stop. Trucks also have large blind spots that make it impossible to see cars just feet from the trailer. Many commercial truck accidents in Riverside are the result of truck driver error. Truck accident injury claims are often complicated as there may be more than one party responsible for the accident. While driver negligence is often a factor, the trucking company or truck manufacturer may also be liable. In more than three-quarters of truck accidents that involve rear-end collisions, the accident was the fault of the truck and car driver. 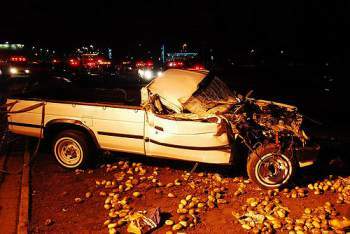 Passenger vehicle drivers are usually responsible for most head-on collisions. Vehicle-related problems like faulty brakes are a factor in a small number of accidents. If you have been involved in a commercial truck accident in Riverside, it’s important to seek legal counsel as soon as possible. An experienced commercial truck injury lawyer at Rawa Law Group will investigate the accident to determine who was to blame and what factors contributed to the accident. Each party responsible likely has insurance to protect them but it is not uncommon for these parties to fight over liability. At Rawa Law Group, we will work to seek the maximum compensation possible for your medical expenses, lost wages, and other damages. Contact Rawa Law Group today for a free consultation with a Riverside truck accident attorney to discuss your case and explore your legal options. Learn more about all of our Riverside Ca. law services here.